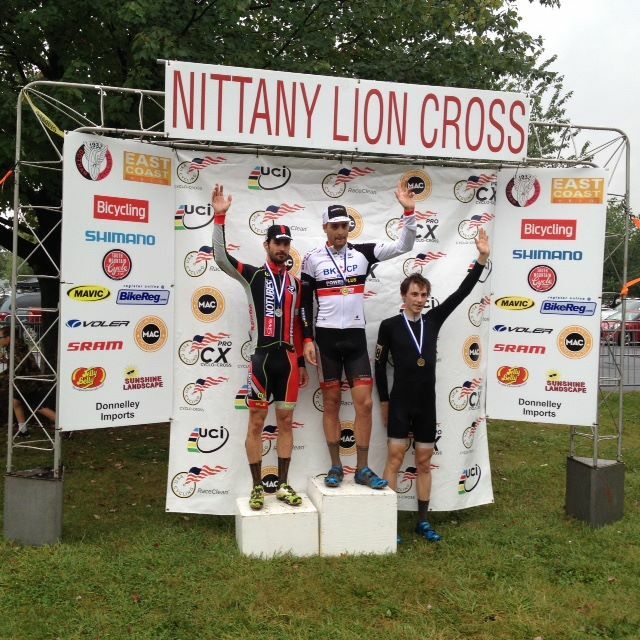 Dan Timmerman (Stan’s NoTubes Elite) continued his successful early season with a hard fought 2nd place at Nittany Lion Cross this past September. In addition, he racked up a 4th place on the first day and an awesome 3rd place on the second day of the Trek CXC Cup currently going down in Waterloo, Wisconsin. Great job Dan and the whole Stan’s NoTubes team! Katie Compton takes the win at Pan American Championships!Stan’s NoTubes’ Dan Timmerman on the podium at Ellison Cross!